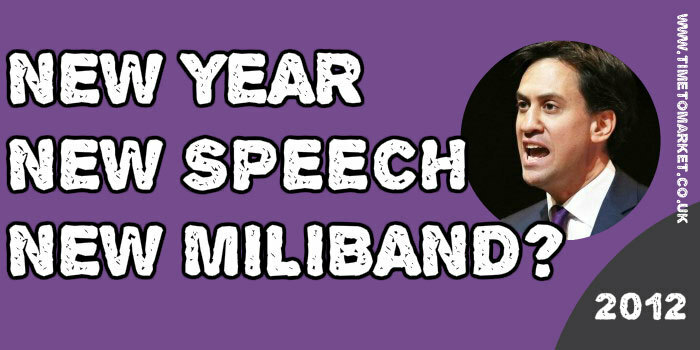 New Year, New Speech, New Miliband? New Year’s speeches signal a new start. A new resolution. And that’s just what Ed Miliband wanted with this new speech for the New Year, 2012. Yes, he only gave it yesterday, but it’s a new beginning. At least that was how it was billed beforehand. And what are the Government doing about it? And it’s not just transport we need change. Everyone here today who has enjoyed Christmas and New Year with their family has had the central heating on. Hilarious. No mention, of course, about his role as a former Energy Minister! His introduction thanked Citizens UK for all their good work. He confirmed their values and then noted how he shared these very same values. Very neat. So, this worked as a good introduction to a difficult speech. The Labour Party stands for fairness and fighting injustice. With his position, and that of the Labour party settled, the Leader of the Opposition set about his rebuttal of the Coalition government. Before he followed with an outline of his ten policy measures. That means three new ways of delivering fairness in difficult times. First, reforming our economy so we have long-term wealth creation with rewards fairly shared. Second, acting against vested interests that squeeze the living standards of families. And third, making choices that favour the hard-working majority. Does anyone doubt that people are feeling squeezed? The price of food is going up. The price of gas and electricity is going up. His peroration was robust and well-written–as was the whole speech. What is your vision for this country? This Government doesn’t have one. Because we understand that a responsible economy is also a stronger, growing economy. Our vision is for an economy based on sustainable wealth creation. Where rewards are more fairly shared. Where we take on the vested interests that squeeze people’s living standards. Where we stand up for the hard-working majority with the choices we make. That is the basis on which Labour will govern. That is what Labour stands for. That is where Labour stands. We heard some horrors (“Labour can still deliver fairness in these tough times” and “I say: Bring it on.”) in this well-constructed speech. But, that’s the price you pay sometimes. But it’s his speech delivery that’s going to need more work. Somehow there’s a flatness to the delivery, a sense that the passion isn’t there. Those in the know confirm his passion, but most of us aren’t in the know. We can expect that his team will be working on his speech tone, the tonal variation and the uplift at the end of his sentences. When you have to give a new speech, perhaps to a new audience, please don’t despair. 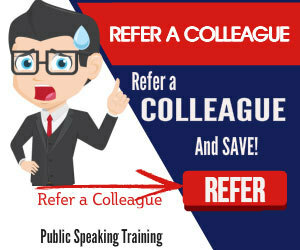 Because you can always find loads of public speaking tips and techniques with our regular series of tips and podcasts. 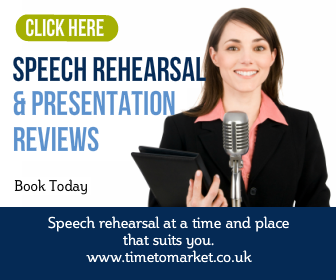 And, when you want to really boost your public speaking skills, then a public speaking course or coaching session might prove to be right for you. So, please don’t hesitate to get in touch when the time is right.